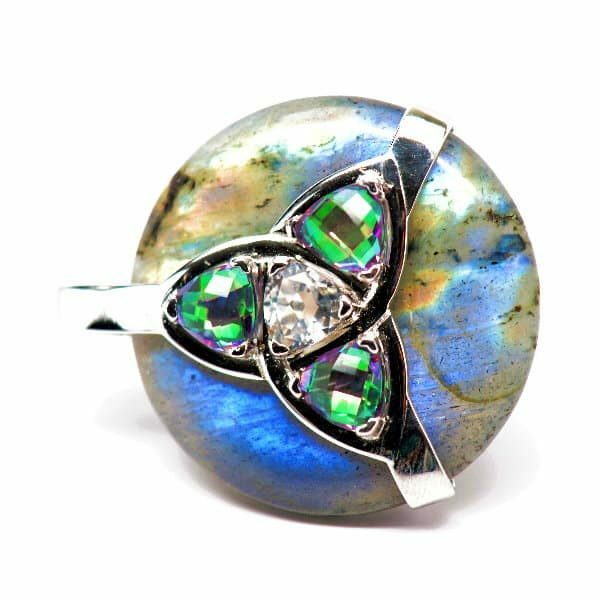 You simply won’t find a more incredibly beautiful collection of stones to work with for rapid transformation and change than labradorite, green mystic quartz, and the ‘master stone’ clear quartz. 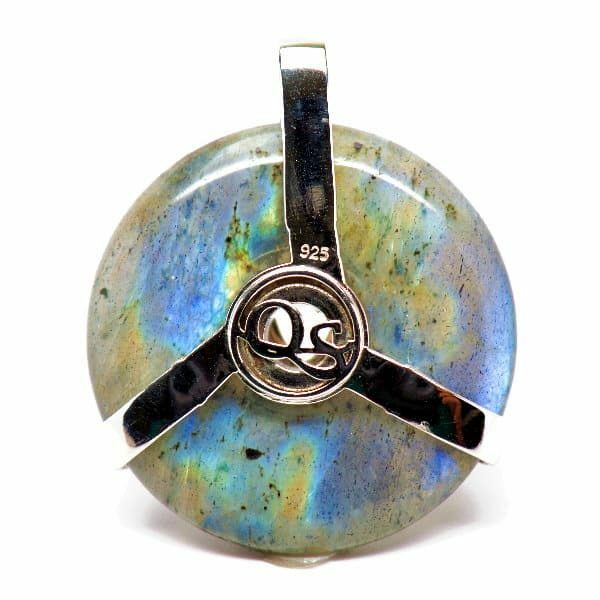 Labradorite is said to hail from the heavens because of its gorgeous rainbow hues and its extensive metaphysical properties concerning Divine and telepathic communication and astral travel. 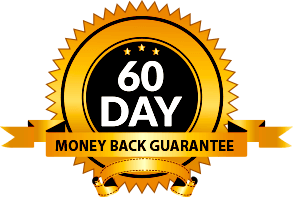 It helps one navigate changes and challenges including past live issues, aiding one for body and soul ascension. 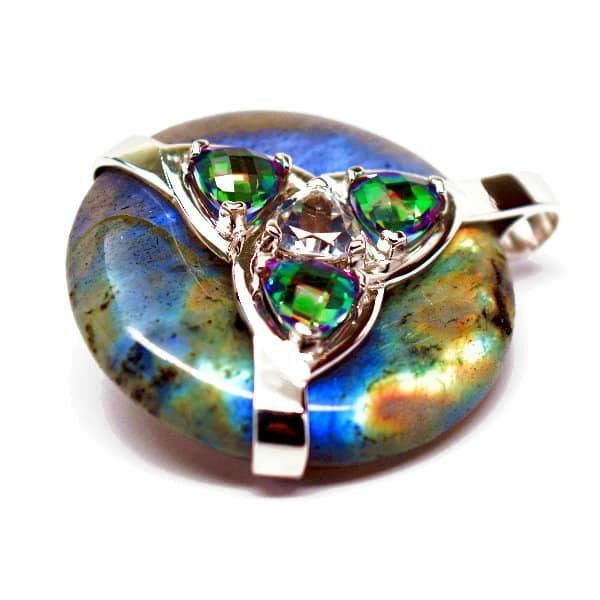 The addition of three colorful mystic quartz crystals complements the labradorite both aesthetically and in mind/body/spirit healing. 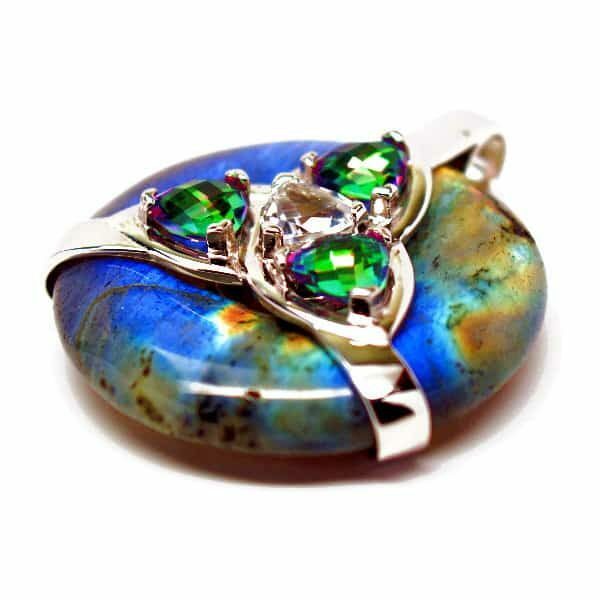 This magical stone boast the same properties as the center-set clear crystal quartz. Both activate and cleanse the entire chakra system and purify negative energies. They help clear one’s mind, opening the doors for a shift in consciousness towards the Higher Self. Ensconced in a sterling silver Triquetra symbol on one side and a simpler trinity design upon the back, this reversible piece literally serves as two healing pendants in one! 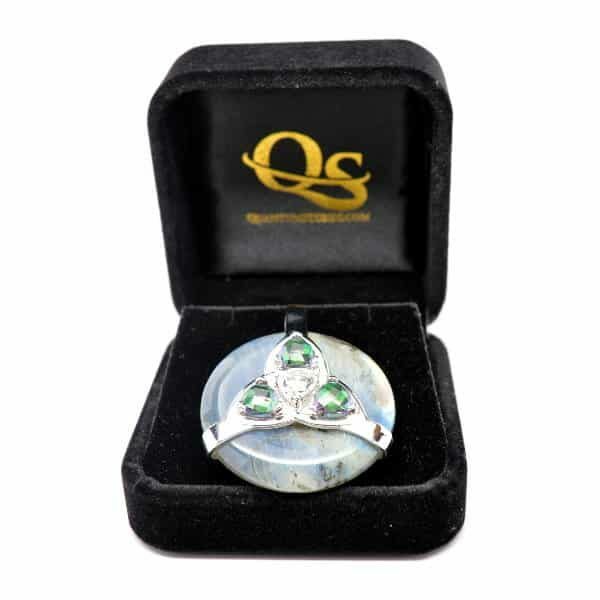 What you choose to ascribe as the concepts and meaning of your pendants threefold dynamic patterns is up to you. 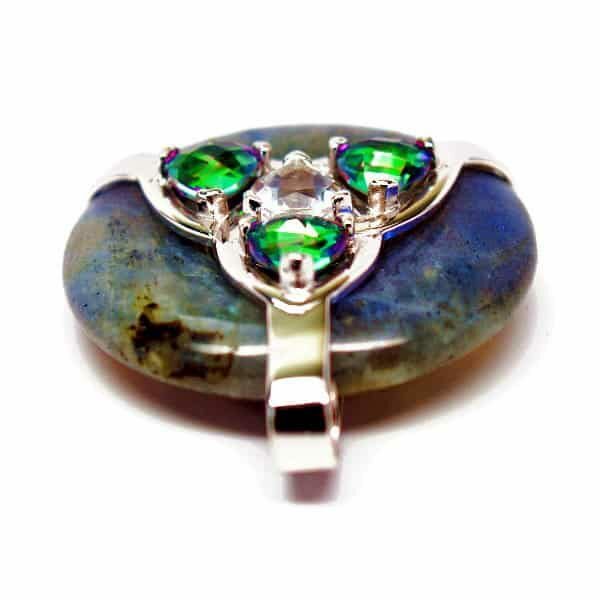 Learn some of the most typical meanings of the Trinity/Triquetra design here for inspiration and ideas, but don’t be limited by them…You’ll love having this powerful Quantum Stone in your collection as your own personal shielding grid in one lovely pendant! 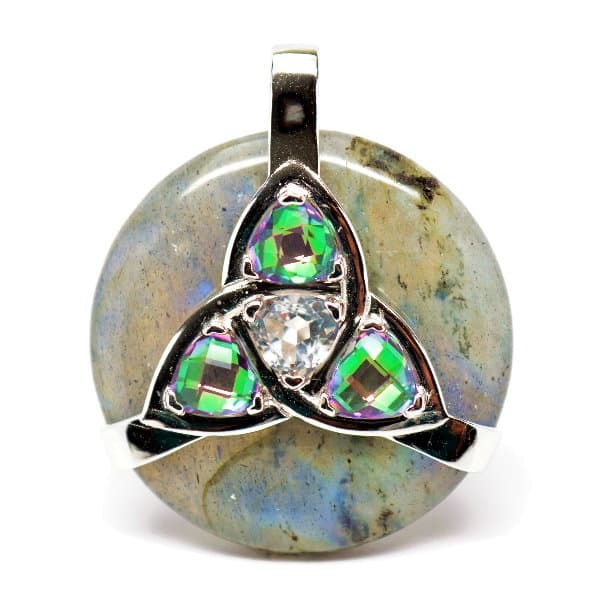 Be the first to review “Triquetra Labradorite w/Green Mystic & Clear Quartz Amulet” Click here to cancel reply.